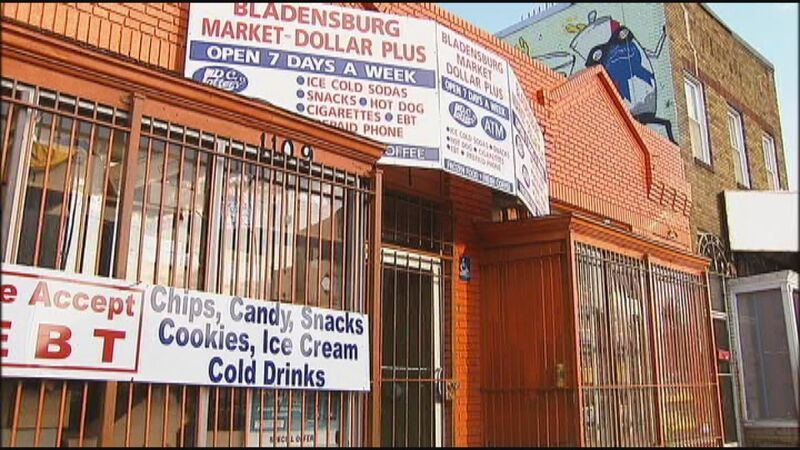 The Bladensburg Market Dollar Plus at 1109 Bladensburg Road NE (on the Carver-Langston side of the street) is the first store to be temporarily shut down under DC’s new synthetic drug law. MPD also arrested two people charged with selling the synthetic drugs just down the road at the Starburst Plaza. Earlier this month Mayor Bowser signed emergency legislation to prohibit the sale of synthetic drugs, marketed under names such as Scooby Snax and Bizzaro, and giving MPD power to shutter any offending business for four days and impose a $10,000 fine. Subsequent offenses may lead to loss of the establishment’s business license. Use of the drug leads to overdose and violent behavior, according to District officials.